6 Things to consider before purchasing duvets. Today market is crammed with ample of duvets with various lavish fillings and are incredibly popular among all. Choosing a perfect duvet enhances the quality of your sleep, but if chosen wrongly can cause hindrance too. So, let’s take a swift glance below and know the important factors to look into before you shop. Choosing a duvet with precise tog rating is very important. Tog rating defines the duvet’s ability to entrap and retain heat. Actually, Tog rating labels the weight of your duvets. More the tog rate, higher would be the weight of your duvet and warmer you are going to feel. Tog rating differs from person to person and is directly proportional to the amount of warmth one wants during sleep. So, if you feel too hot during night, prefer duvet with less tog rating and vice versa. Pay attention to the size of duvets in order to buy a perfect duvet. 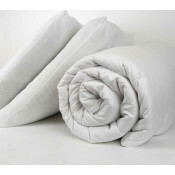 Today, from single to king size to super king size, there are ample of duvets available in the market. Do your homework regarding exactly what size you literally want. Usually, while shopping for it, people ignore the size of duvets and focus much on its filling. However, if you want to spread the duvet all over your bed for a refine look, then go for one size bigger than your bed. If you buy a cheap duvet, you might able to save money for the time being but will end up having no quality and durability that you might have got from expensive one. Scratchy and exhausted sleep has many side effects, so never compromise with the comfort of your sleep and purchase high quality duvet only. 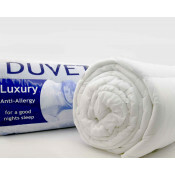 Duvets are available in variety of filings like feather duvets including duck and goose down feathers, synthetic duvets filled with polyester or microfibers etc. 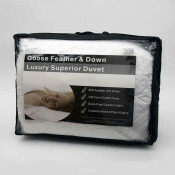 Gooses down duvets are most popular ones due to its durability, softness, light weight and property of maintaining optimum temperature at every season. Synthetic duvets are resilient and dry fast after washing and are best options for people leading a busy life. 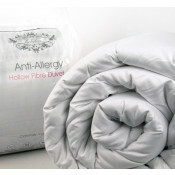 When going for duvets, always give preference to high quality because quality matters when it comes to your health. 100% surety is the tag line for a high quality duvet as it guarantees you comfort and last long. The cheap and low quality duvets are initially soft but go worse with time. Make sure you purchase a right duvet for the particular season. Look out for low tog rating for summers and high for winters. 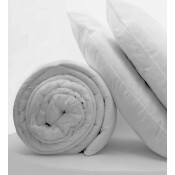 You can also go for such duvets that control your body temperature and remain optimum at every season. Embellish your bedroom and get yourself pampered with our exclusive range of duvets. From now onwards, whenever you make up your mind for buying a duvets, remember the above points and don’t forget to check them at www.beddingmil.co.uktoo.